IDEA - ALM : Walter Toebbens, German industrialist who owned the largest factories in the Warsaw ghetto. Walter Toebbens, German industrialist who owned the largest factories in the Warsaw ghetto, and in cooperation with the SS, exploited the cheap labor of Jewish workers in his textile factories. 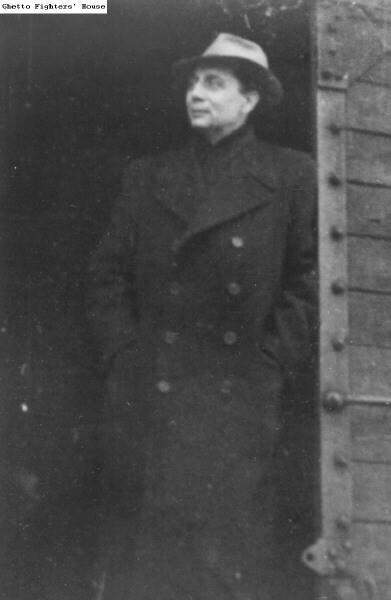 At the beginning of 1943, Heinrich Himmler visited Warsaw and ordered the liquidation of the big private factories, particularly Toebbens', by February 15 of that year. Himmler charged, and not without foundation, that Toebbens had made millions in profits, when he should have been sent (on Himmler's orders) to the Eastern front, and the 16,000 Jews who worked for him, to a concentration camp, preferably in Lublin. ולטר טבנס, תעשיין גרמני שהיה הבעלים של המפעלים הגדולים ביותר בגטו ורשה.